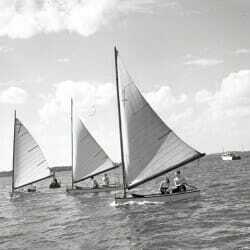 Photo Gallery: Sailing Through the Years. It was a gray Friday afternoon, cloudy and unusually chilly for September, with a heavy chance of rain. Most of the sailing classes offered through Wisconsin Hoofers had been canceled for the day — except for Jay Chan’s sailing lesson, which he prepared for eagerly despite the darkening skies. Chan PhDx’22, who is studying physics, would soon hop in a sloop for a three-hour lesson with Edward LeBlanc, a physician’s assistant with UW Health and a first-year instructor for the Hoofer Sailing Club. During the summer, Chan and his friends had decided to learn to sail, and they’d had an initial lesson that covered terminology and sailing basics about three weeks earlier. 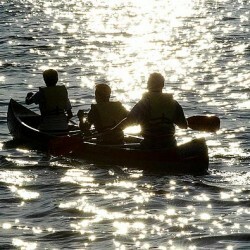 As he began to prepare the boat for the water, Chan looked back at his instructor for guidance. 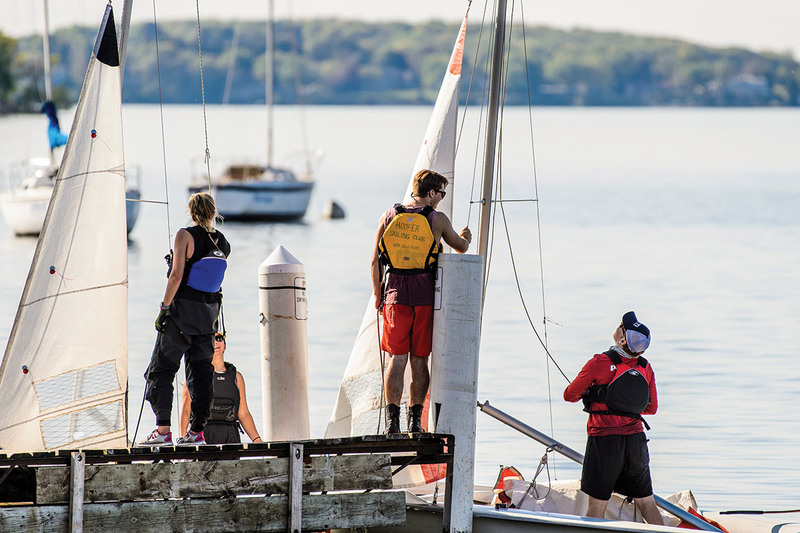 Despite the fact that Lake Mendota is completely frozen for about a fourth of the year, the student sailing club sells more than 300 memberships annually. Program manager David Elsmo estimates that the number of students involved at any given time is much higher than that, and the group boasts nearly as many community members. At around $250 for an annual student pass, it’s one of the country’s most cost- effective sailing programs. Newcomers start out in the chart room inside Memorial Union, getting acquainted with terms such as tacking (bringing the forward part of the boat through the wind) and jibing (the opposite maneuver). From there, they move on to the techs — the familiar yellow boats lined up along the lakeshore — or the keel boats, which are larger. Experienced sailors can make their way through the fleet to the E Scow, which LeBlanc says is likely the fastest sailboat on Lake Mendota. But for beginners, he says, it’s essential to learn on the slower, smaller boats — to feel the spray of the water and take control of the motions. Even the most advanced students can make too tight a turn and flip the boat. But at Hoofers, there’s a saying for that.